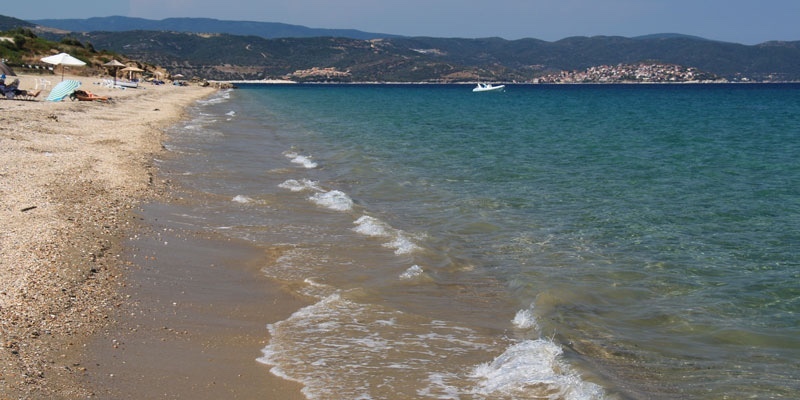 Akti (beach) Salonikiou is a beach north of Ormos Panagias. 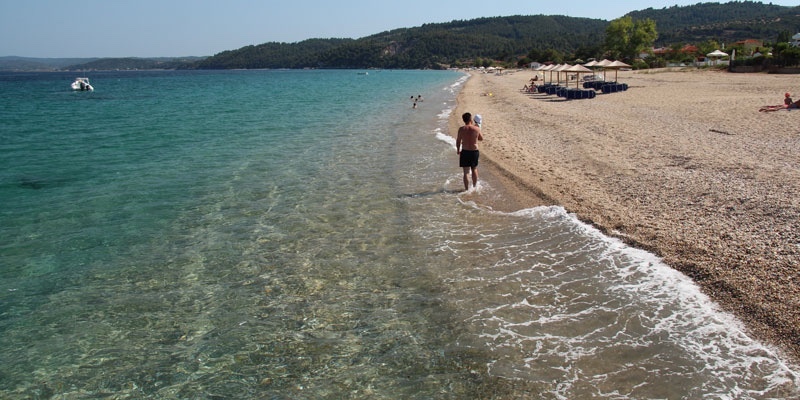 The beach is lined with small family run apartments that give you a little beach front piece of paradise. 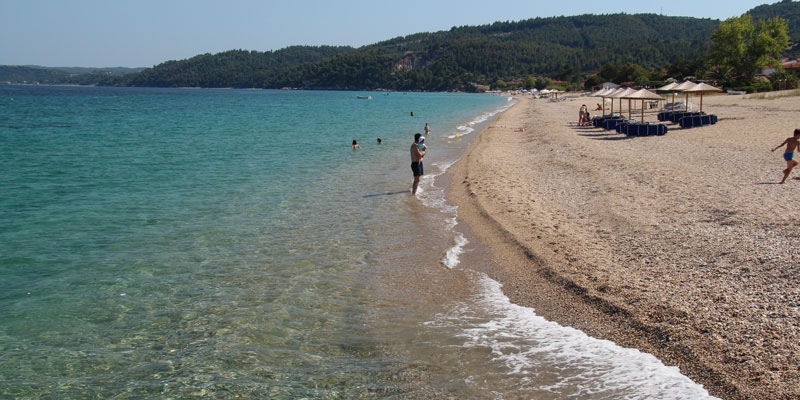 Fewer people come to this northeastern part of Sithonia, so it is easy to get some quite time on this beach. The view is also nice towards Mount Athos. The beach is mostly undeveloped except for the odd sun-bed put out by the apartments. The south end of Salonikiou has two beach bars where most of the tourists hang out, there you can find sun-beds and umbrellas. 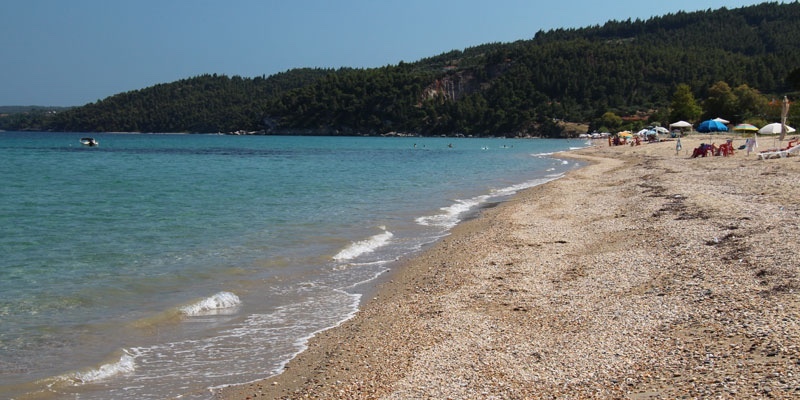 The beach is a pebble beach and the seabed starts off with pebble but turns into sand after a few meters. The water is clear and gradually gets deeper, until the neck of an adult, and then levels off so you can walk out quite some distance. 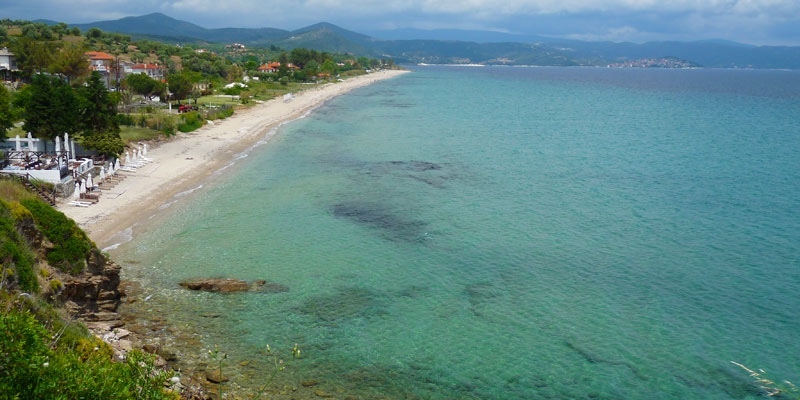 The quiet atmosphere makes this beach ideal for families with children. No crowds. Clear water for swimming. Pebble beach. Very basic organization. 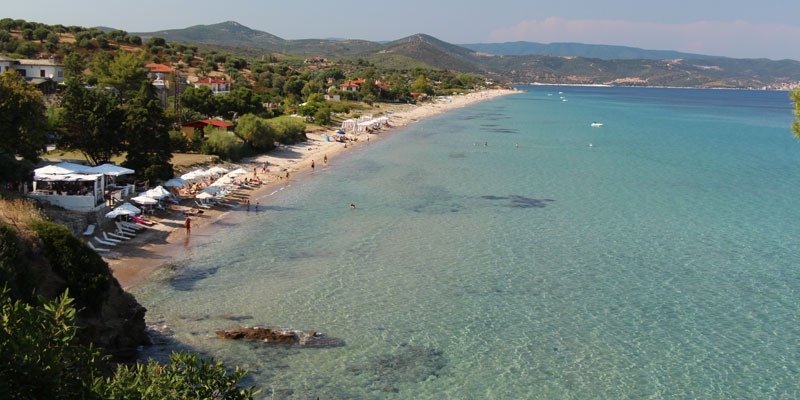 From Ormos Panagias travel north to Pirgadikia. 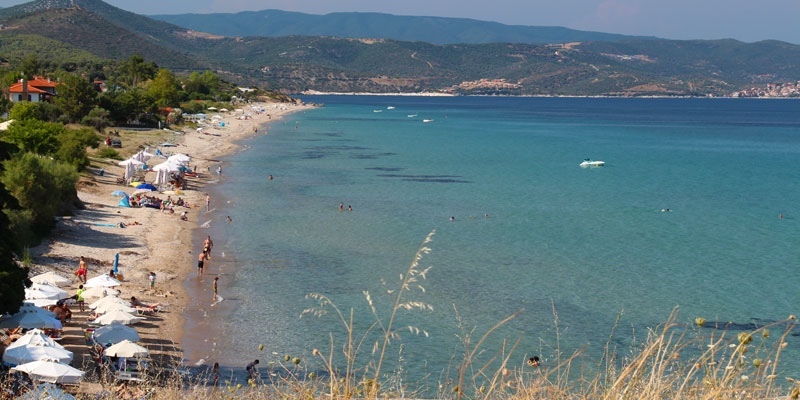 After 10 minutes you will arrive at the sea and a bend in the road with a sign to Krotiri resort. The beach starts at this point. Good swimming spot and good for families, but not a beach you would want to spend days on.